Electrical activity recorded on the scalp using electroencephalography (EEG) results from the mixing of signals originating from different regions of the brain as well as from artifactual sources. In order to investigate the role of distinct brain areas in a given experiment, the signal recorded on the sensors is typically projected back into the brain (source reconstruction) using algorithms that address the so-called EEG “inverse problem”. Once the activity of sources located inside of the brain has been reconstructed, it is often desirable to study the statistical dependencies among them, in particular to quantify directional dynamical interactions between brain areas. Unfortunately, even when performing source reconstruction, the superposition of signals that is due to the propagation of activity from sources to sensors cannot be completely undone, resulting in potentially biased estimates of directional functional connectivity. Here we perform a set of simulations involving interacting sources to quantify source connectivity estimation performance as a function of the location of the sources, their distance to each other, the noise level, the source reconstruction algorithm, and the connectivity estimator. The generated source activity was projected onto the scalp and projected back to the cortical level using two source reconstruction algorithms, linearly constrained minimum variance beamforming and ‘Exact’ low-resolution tomography (eLORETA). In source space, directed connectivity was estimated using multi-variate Granger causality and time-reversed Granger causality, and compared with the imposed ground truth. Our results demonstrate that all considered factors significantly affect the connectivity estimation performance. Alessandra Anzolin and Paolo Presti have contributed equally to this work. 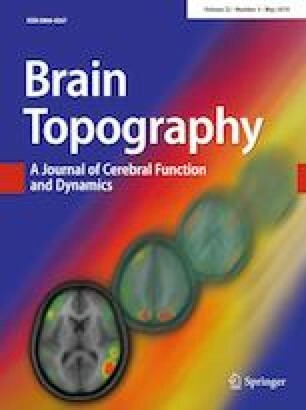 This is one of several papers published together in Brain Topography on the “Special Issue: Controversies in EEG Source Analysis”. Handling Editor: Jorge Javier Riera. The online version of this article ( https://doi.org/10.1007/s10548-019-00705-z) contains supplementary material, which is available to authorized users.